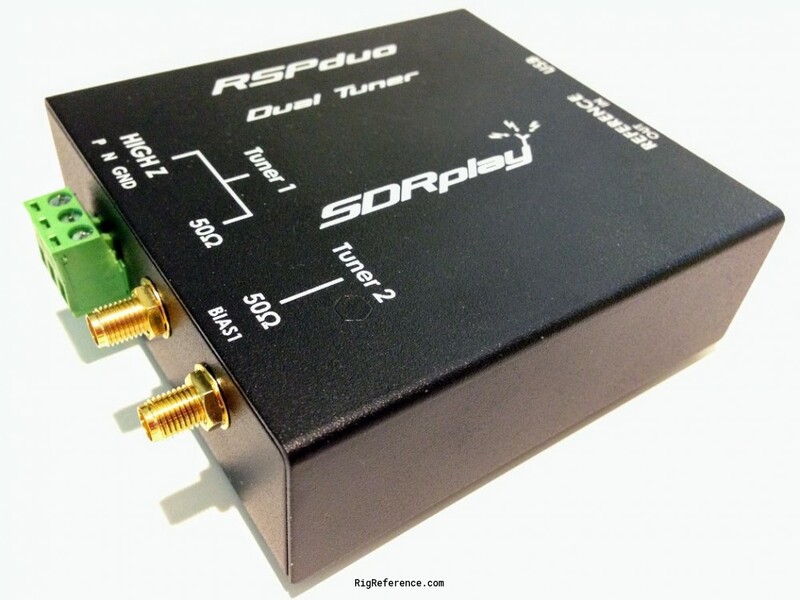 The SDRplay RSPduo is a dual-tuner wideband full featured 14-bit SDR which covers the entire RF spectrum from 1kHz to 2GHz giving 10MHz of spectrum visibility. Combined with the power of SDRuno software for Windows, you can simultaneously monitor two completely separate 2MHz bands of spectrum anywhere between 1kHz and 2GHz. The RSPduo provides three software selectable antenna inputs, and clocking features ideally suited to industrial, scientific and educational applications. All it needs is a PC and an antenna to provide excellent communications receiver functionality. A documented API allows developers to create new demodulators or applications around the platform. Estimating the value of a rig can be challenging. We collect prices paid by real hams over the years to help you estimate the current value of the SDRplay RSPduo. Just bought or sold this model? Let us know what you traded it for and help other ham operators!